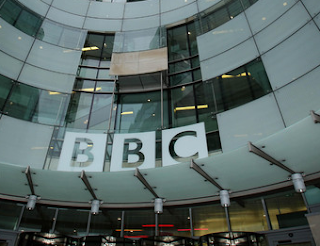 UPDATED | The BBC has made a U-turn in its proposals for showcasing BBC Three content on BBC One and Two. Originally, the BBC Executive said that after the closure of the BBC Three TV channel, BBC Three content would potentially be broadcast in a BBC Three-branded slot late nights on BBC One or BBC Two. 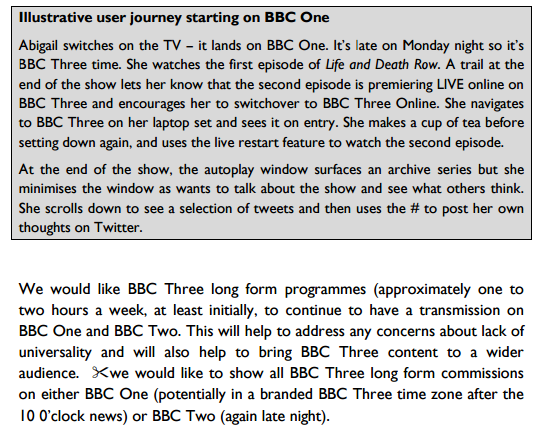 This proposal was part of the BBC Executive's original plans for the changes to BBC Three that formed a key part of the BBC Trust's first public consultation on the matter. Now, the BBC Executive has poured cold water over its own plans, insisting that "having a BBC Three branded zone is unlikely to be the best way to deliver targeted content to young audiences, as it would limit flexibility to find the best slot in the schedule for the individual piece of content." "In a world of declining resources, increasing quotas and targets will further constrain our flexibility and agility. This will likely impact our ability to commission the best programmes, and to do so in the most agile, cost effective way. " In a document from the BBC Executive released today by the BBC Trust, the broadcaster claims that programmes such as The Billion Pound Chicken Shop and Japan: Earth's Enchanted Islands* are proof that that BBC One and Two are targeting younger viewers. Subject to BBC Trust approval, there will still be 1-2 hours of regular BBC Three programming each week spread across late night slots on BBC One and BBC Two, but now it will air without BBC Three branding. Critics say it will make it easier to remove the slots later on. Other BBC Three content will be mostly short-form/bitesize and spread across commercial social media platforms and the BBC Three Online website, which will act as a portal to the content. 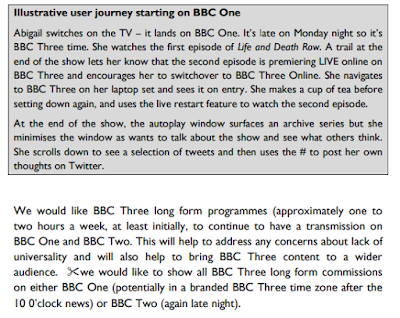 The BBC Trust is running a second consultation about BBC Three, which is open for responses until 30th September 2015. The BBC now proposes to launch a temporary promotional channel replacing the current BBC Three TV service from mid-January until the end of February to help viewers find BBC Three Online. A recent blog post on the BBC website quoting leading figures from disability charities praising BBC Three's recent TV programmes on disability was censored by the BBC earlier this week, after those quoted called the BBC Three programmes "television you'll never forget", and called for other channels to follow BBC Three's lead in showcasing disabled people on TV. *The BBC Executive mistakenly called the programme: Japan: Earth's Enriched Islands in its document to the BBC Trust. Why on earth do they think Japan: Earth's Enchanted Islands would appeal to younger viewers? It's classic BBC Natural History and travel documentary stuff. My 70 old mum loved it. The BBC are an utter joke with BBC Three and its treatment of younger viewers, LF payers... An utter shambles!! If BBC 3 really has to go, why not have it as an IPTV channel on Freeview? Why not get rid of BBC Parliament, and put their programmes on BBC 1&2 in the downtime hours, like they currently do with BBC news.